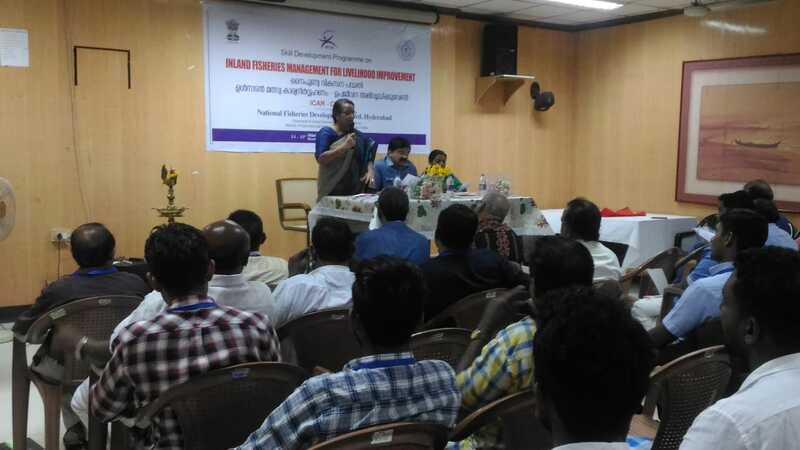 The NFDB sponsored Skill development programme titled “Inland fisheries management for livelihood improvement” was conducted from Nov 14 th to Nov 16 th 2018 at ATIC Hall, CMFRI campus, Kochi aiming to provide an overview on inland fisheries sector with special emphasis on production enhancement strategies developed by ICAR-CIFRI. The skill development programme was inaugurated by Dr. A.Gopalakrishnan, Director, CMFRI (ICAR-Central Marine Fisheries Research Institute) in the presence of Dr. Seema C, Fisheries Extension Officer, Ernakulam district and Dr. Rani Palaniswamy, Principal Scientist and Officer- in- charge, CIFRI Kochi Centre. The Director, ICAR-CMFRI in his inaugural address highlighted the importance of conserving inland fishery resources while promoting indigenous fish culture practices to enhance production. He also emphasized that fishes like African catfish, Garrfish, Arapaima and Pacu were observed in catches during the flood period in Kerala indicating that clandestine culture of illegal fishes practiced in Kerala and that the fishers should adhere to these responsible fisheries rules. 38 fishers participated the programme. 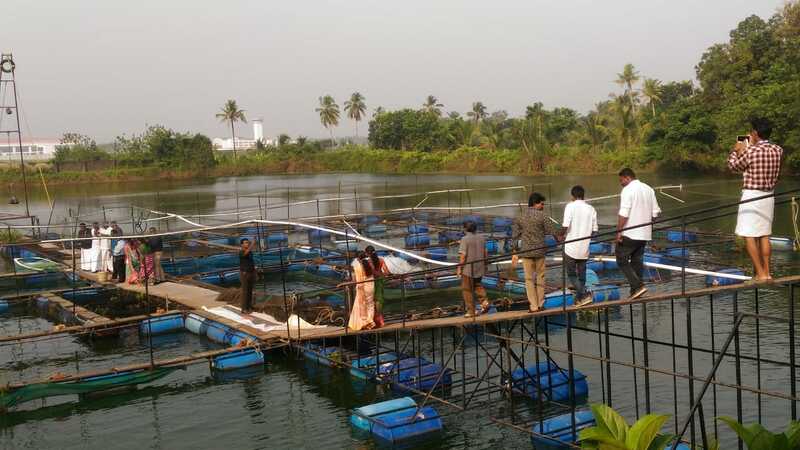 Programme consisted several class room sessions by resource persons experts in their respective subjects and field visit to cage farming in natural ponds, where in eight cages were installed rearing fishes such as Pangassius sp., GIFT and Etroplus suratensis. The training programme was co-ordinated by of Dr. Rani Palaniswamy, Principal Scientist and Officer- in- charge, CIFRI Kochi Centre and was co-co-ordinated by scientists, Dr. Deepa Sudheesan and Mrs. Thankam Theresa Paul.